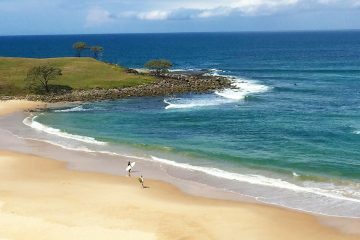 Looking for campervan hire in Australia? 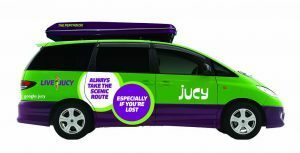 We offer the full range of Jucy Campervans – with options to suit all styles and budgets so you can enjoy an epic road trip! 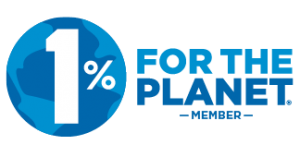 Each option comes with all the creature comforts of home, allowing you to load up your gear, some buddies and head off to explore Oz! 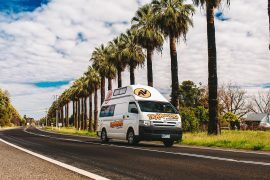 They’re one of the most iconic and award winning companies for campervan hire in Australia so you can rest assured that you’ll have a smooth journey. 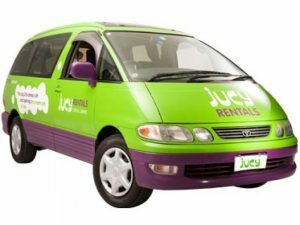 The most budget friendly campervan that Jucy offer, the El Cheapo is perfect for two buddies or a couple heading up the coast. It still has all the creature comforts you’ll need to enjoy the road trip, but it’s a bit more friendly on the wallet! 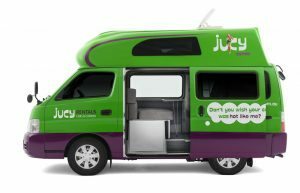 The most popular of the Jucy camper vans, the Jucy Crib allows you to seat 4 people (as opposed to the 2 in the El Cheapo) so whether you’re picking up new travel buddies en route or fancy a mixture of camping and campervanning the Crib gives you a bit more space and flexibility. The best value option if you’re travelling in a small group, the Jucy Champ sleeps up to 4 – 2 on the fold out double inside and 2 in the rooftop tent box! 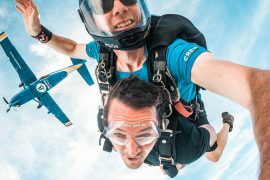 Whether it’s 2 couples, 2 +1 or 4 buddies this is a great budget option for an epic road trip! 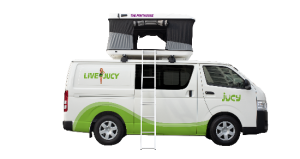 The Jucy Condo is perfect for those looking for a little bit more comfort and room – in a more traditional campervan style setup. A full kitchen, indoor table setup and even a TV make this perfect for a spot of flashpacking adventure! 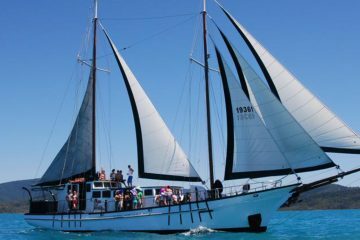 New from 1st Dec 2018 is the Jucy Compass – the perfect option for those wanting a bit more space or 2 couples travelling together. Featuring two double beds (one inside and one on the pop up tent on the roof) there’s plenty of space and it comes fully kitted out with cooker, fridge, sink and even a toilet! All bookings MUST reconfirm 24-48 hours prior to vehicle collection. 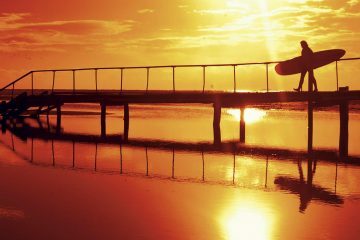 Phone from AU: 1800 150 850 or from NZ: 0800 399 736. 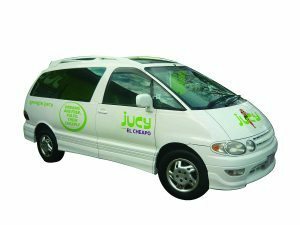 Please note: You MUST have a credit card to hire a Jucy Campa, as this is used for security & bond purposes. You MUST present a current valid drivers licence when collecting the vehicle, if the licence of an Authorised Driver is not printed in English it must be accompanied by an accredited English translation or an international drivers licence which is to be provided to JUCY.